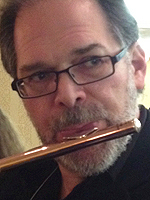 Rob Portnoy is a renowned multi-woodwind performer, clinician and teacher who has worked with a plethora of superstar singers, musicians and performers including Ella Fitzgerald, Sammy Davis Jr., Mel Torme, Aretha Franklin, Wayne Newton, Nancy Wilson, Don Sebasky, Mickey Rooney, Red Skelton, Debbie Reynolds, Liza Minnelli, Tony Bennett, Johnny Mathis, Natalie Cole and Sarah Vaughn. I just wanted to thank you for the phenomenal work you did in creating my new headjoint. I recently played it on the show “Beauty and The Beast” and received many compliments on my “sweet” sound. The combination of my Altus Limited and your Blackwood Headjoint allow me a warmth that neither of my metal headjoints provide and enable me to play all octaves with a solid, centered sound which articulates quickly and doesn’t break up when pushed! I will surely endorse your craftsmanship so more flutists can experience the wonderful qualities of a Martin Doyle headjoint! 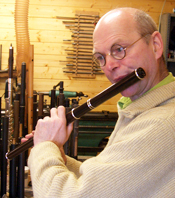 This entry was posted in Concert Flutes, Flute Players, Martin Doyle Flutes, Musicians, Testimonials, Wooden Headjoints and tagged comment, Concert, Flute, kind, Rob Portnoy, testimonial, western, wooden, words on 11th April 2013 by Admin.